Pastrana edges Higgins in Epic battle at 100 Acre Wood Rally! 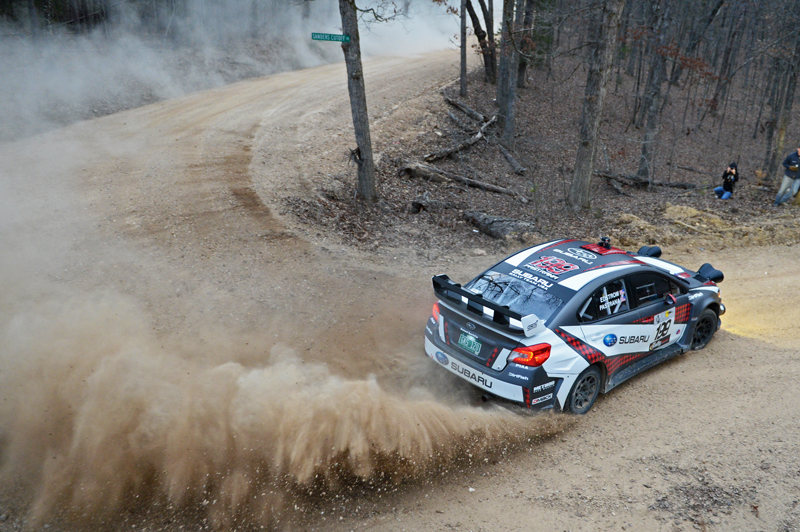 Subaru Rally Team USA Drivers Pastrana and Higgins Finish 1-2 at Rally in the 100 Acre Wood! 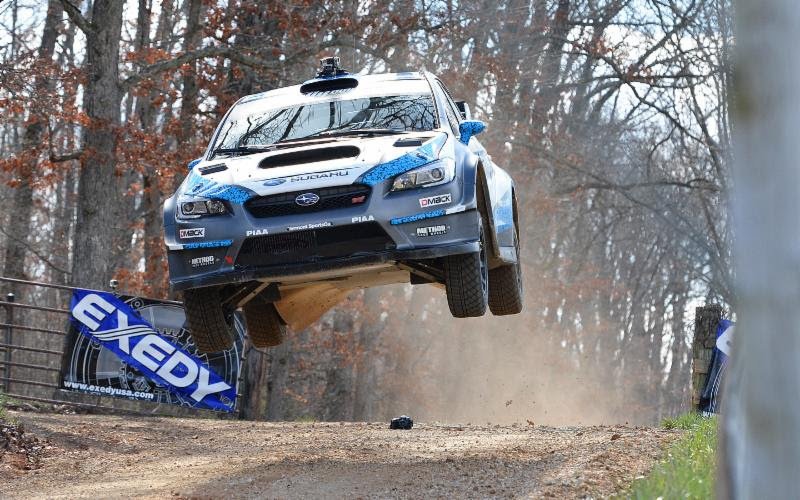 Cherry Hill, N.J. March 21, 2016 - Subaru Rally Team USA drivers Travis Pastrana and David Higgins wowed rally fans with one of the closest battles in recent history at Rally in the 100 Acre Wood, their return debut to the Rally America Championship. Competing in equally prepared 2016 WRX STI rally cars, Pastrana and Higgins traded the lead back and forth five times over the event's 17 stages while being no more than 12 seconds apart at any time. Pastrana ultimately edged out Higgins on the final stage of the rally to take the victory, his first in Rally America since 2010. Named after the storybook home of Winnie the Pooh, the Rally in the 100 Acre Wood is set in the foothills of the Ozark Mountains of Missouri and features very high-speeds on smooth and flowing gravel roads that are a favorite of many rally drivers. David Higgins won the 2015 edition of the event under snowy and treacherous conditions. Defending Rally America champions David Higgins and co-driver Craig Drew won the first stage of the event, but ceded the lead on day one to Travis Pastrana and co-driver Christian Edstrom after being slowed by an intermittent mechanical issue. Higgins mounted a charge on day two and began clawing into Pastrana's slim lead. Higgins won six of day two's eight stages then overtook Pastrana on the penultimate stage. The final stage was then setup to be a nail-biter with the dueling teammates separated by just five seconds. It was Pastrana who regained the lead and took the victory after Higgins suffered damage to his car during a challenging water crossing, forcing him to dial back his pace on stage. Despite the setback, Higgins managed to clear the finish to secure 2nd overall. "It was an epic battle all weekend. Christian (Edstrom) and I pushed every mile and it was a rally I will remember for the rest of my life!" exclaimed Pastrana at the podium celebration. "Our new Subaru was amazing. It is one of the best feelings to be in a new car and to be as hard on it as I was with absolutely no technical issues. I couldn't have asked for a better result and send huge thanks to team who have worked so hard." "Higgins and Pastrana put on a spectacular fight this week for the win", stated Subaru Motorsports Marketing Manager Rob Weir. "Both drivers showed why they've earned multiple championships, and went flat out to defend this year's championship for Subaru. We're impressed by Pastrana's pace, considering he hasn't competed in seven months, had an all-new rally car and was acclimating with his co-driver, who amazingly had not raced since 2010." The duo will face off again at Oregon Trail Rally near Portland, OR April 22-24.